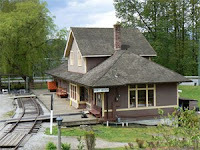 The Port Moody Station Museum is a very important and interesting historical site. It is a direct link to B. C.’s past. Without the railway, who knows what Canada would look like today. To learn a little about the importance of the railway, take a few minutes to view the video titled ‘Forging the National Dream’. After viewing the video, go to the comment section and write one fact that you learned from watching the video.